When Dennis Espinosa opens the doors to Main & Six Brewing Company on Saturday, November 4, it will already be an anniversary in the new brewery's life. It was a year ago to the day that he and brewery co-owner Cindy Lasky (who also happens to be his mom) closed on the purchase of the building at 1636 North Main Street in the Springfield neighborhood of Jacksonville, just north of the city's downtown. What started as homebrewing around four years ago in Dennis' garage brewing five-gallon batches of beer morphed into an "obsession" and thoughts of turning love for brewing beer into a commercial business. 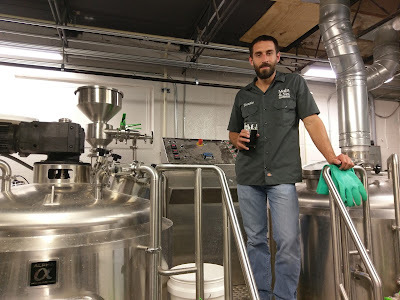 To see whether it might actually be a viable course, Dennis entered several local homebrewing competitions with winning results at the 2015 Green Lion Festival (White IPA) and the 2016 GastroFest (Blonde Ale). When Cindy came on board with the idea and reality of opening a brewery, the pair began searching around town for a location. The partners settled on the building at 1636 N. Main, which housed a former paper product business. The rezoning process lasted about a year (the rezoning was the subject of a number of articles as the request wound its way through committees). When Dennis and Cindy officially purchased the building on November 4, 2016, Main & Six Brewing had its home. Renovations began in January. Over the past year, Main & Six Brewing had appeared at several beerfests and tastings around the Jacksonville area, including Riverside Craft Beer Fest and a summer sampling at Town Beer Co. The beers received positive and encouraging responses, says Dennis (and, this writer can concur). 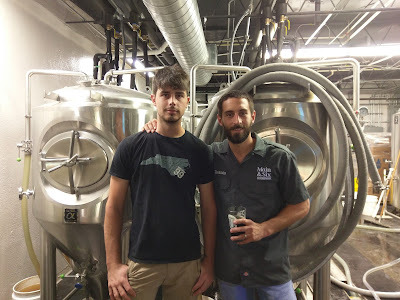 Dennis also brought on a Head Brewer, Ben Barber, who has commercial brewing experience at several breweries in North Carolina and at Veterans United Craft Brewery in Jacksonville. 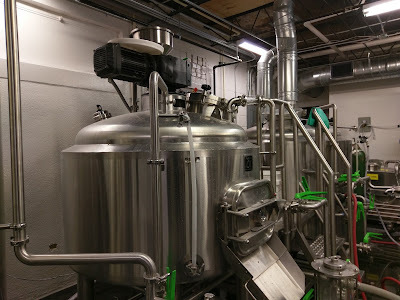 Fabrication of the new five-barrel brewhouse took about 6-1/2 months. The brew system, consisting of four oversized five-barrel fermenters and one brite tank, were put to work around six weeks ago, and the tanks have been filled with beer ready to pour from the taps on November 4. When Main & Six opens, visitors will have their choice of eight house beers, including six full batches: Staycation Blonde Ale, Mix Tape Pale Ale, Uncle Ben's IPA, Hubbard St. Stout, Big Jim California Common (named after the local Springfield steam whistle), Irmafest Oktoberfest (named after that too-well-known Irma which put a damper on the initial brewing schedule); and two small batches: Nocturnal Migration Black IPA, and Handsworth Brown Ale. However, Ben and Dennis already have two additional beers in the tanks: a Belgian Tripel with orange peel, and the "Kokomo" Tropical IPA. The brewers will brew all varieties of beer, with a goal of serving 10-12 house beers on tap. Expect some of the beers to have more hop-forward flavor profiles, and some being the result of creative license. 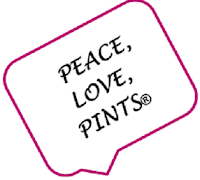 Initially, Main & Six plans to offer four "core" beers (Blonde, Pale Ale, Stout, California Common). Others may be "community-driven," says Dennis, and styles will adapt based on public feedback. "The consumer needs to be heard." During a pre-opening visit last week, there was still some dust, part of the floor was covered in plastic, and a few tables were being refinished. The brewery measures around 3000 square feet, with an approximately 2000 sf tap room. The tap room is open and large, with a wraparound bar, tables and chairs, seating along a side wall and large front window, and two TVs. The center of the tap room will feature a "community table," a set of four tables together to encourage community interaction. That shouldn't be a problem, especially around beer! It's always a treat to taste a beer right from the fermenter, too: the Hubbard St. Stout is made with dark roast coffee from Social Grounds Coffee, right down the street. Loved the dark roast and smoothness of this one. 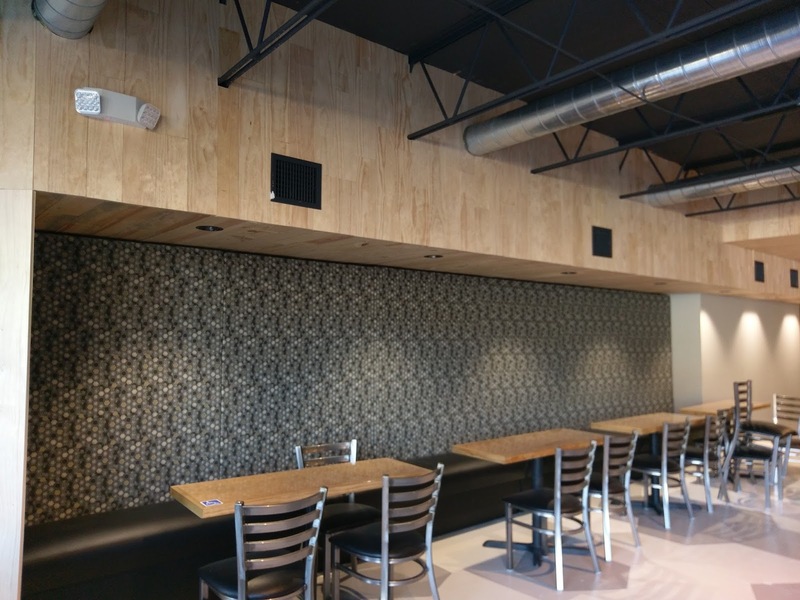 There's a story behind the decor, which blends natural and wood elements with a quasi-industrial touch, along with paying tribute to the local Springfield area. Dennis expressed his gratitude to the Springfield community for the help and support offered during the long rezoning process. To that end, the hexagon shapes on the walls, floor and even under the bar reflect the design of the neighborhood sidewalks - in fact, the hexagon sidewalk borders the front of the brewery. 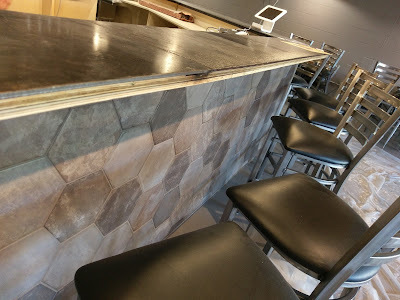 Bar-style seating along the side wall, with hexagon wall design. Mobile-friendly with the electrical outlets, too! 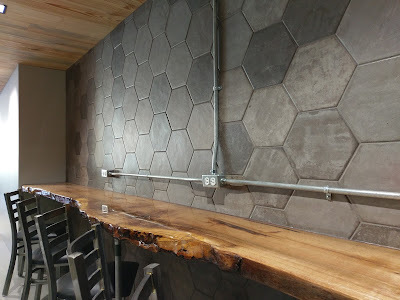 Table seating along the side, with the hexagonal design. Main center bar seating. Chairs look comfy, too! The wood elements also have their own story. 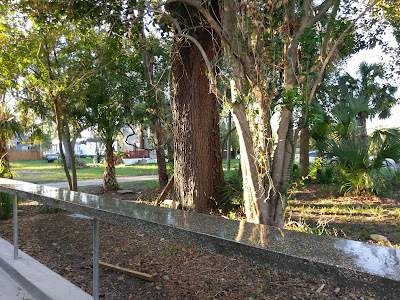 The bar tops along the side and front window are reminiscent of Hurricane Matthew, when the winds took down oak trees in Cindy's backyard. The wood was preserved for over a year and are now part of the brewery. That pine along the ceiling? Chalk that up to Matthew, too, which also claimed several pine trees on Cindy's property. The main bar top was constructed from pre-World War II carbon steel from a Coca-Cola plant. And, what about the outside? 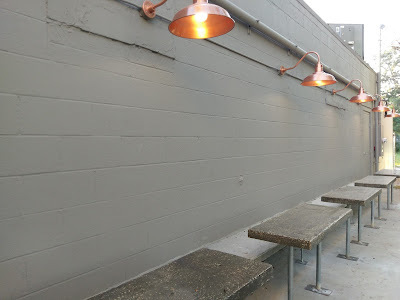 Yes, there's even an outdoor patio, with seating and a standing bar, which can be enjoyed daytime or nighttime. Copper sconces line the wall. The cement standing bar - with metal flakes added to match the lighting - will sparkle at night. ... and the other .... brew with a view! And, hey, if you're not a "beer geek," no worries. 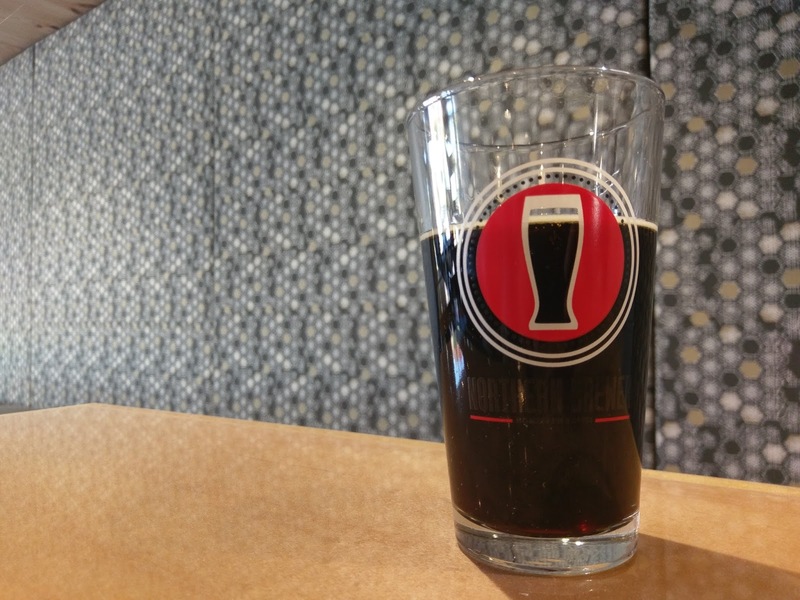 Although Dennis takes the beer seriously and wants the brewery to "make good beer, and do it right," he also wants Main & Six to be known as a fun and inviting environment that's not beer "snobbish." He loves finding a beer for everyone, even those who may not necessarily be craft fans (at least not yet). One last thing, when Main & Six Brewing opens on November 4, there's another reason it will be a special day: it's also Dennis' birthday. What a birthday celebration! 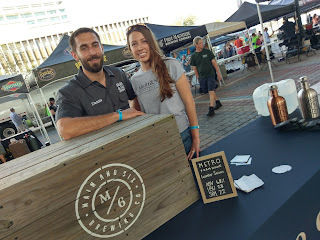 In addition to the opening of Main & Six Brewing, Jacksonville PorchFest also takes place in the Springfield neighborhood on Saturday, November 4, which is also a kickoff to Jax Beer Week. Might as well open a new brewery, too! 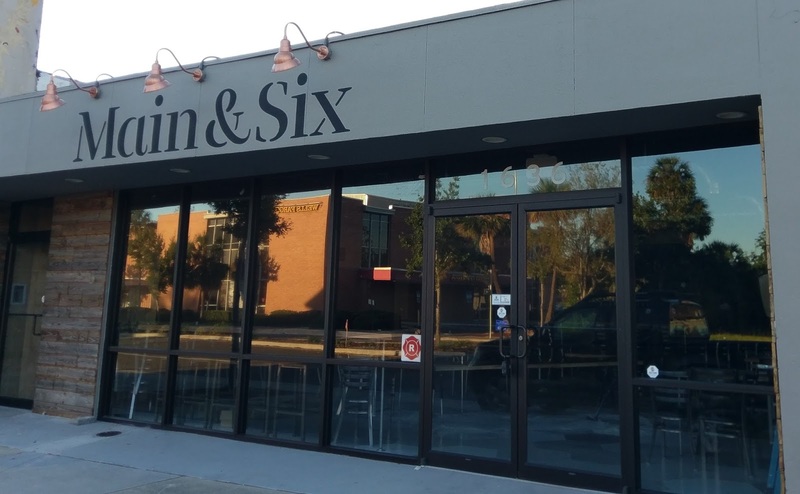 Main & Six Brewing is located at 1636 Main Street North, Jacksonville. Anticipated hours are Tuesday-Friday, 3-11pm; Saturday, noon-11pm; and Sunday, noon-9pm. 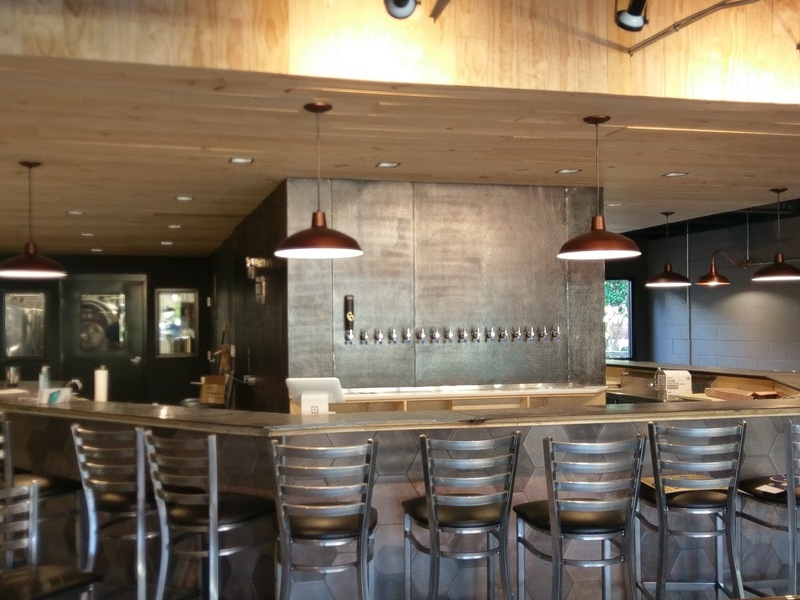 The tap room will offer 16 taps, including a cider (for the non-beer folks). Parking is available streetside and in neighborhood lots. Thanks to Dennis for the sneak peek of Main & Six Brewing! After tasting a number of the beers during the tastings, which, in this writer's opinion, have been on point, it will be a treat to enjoy them in the tap room. Congratulations to Main & Six! Thanks for reading, and see you around Florida Somewhere.... with a beer in hand!